The root of traditional Taijiquan is martial arts. However it is equally valued for its capabilities for maintaining health, increasing fitness, promoting healing, enabling mental clarity and calmness, enhancing wellbeing, relieving stress, providing mental stimulation and physical challenges etc. The most fundamental requirement for a person to maintain an acceptable state of physical and mental health is to realise the dynamic balance of three aspects - balance of physical activity and inactivity; balance of mental tension and relaxation; balance of exertion and recuperation. Hence the old Chinese adage: "Balance is the foundation of Life". Taijiquan is all about balance. It emphasises coordination, coexistence, alternation, symmetry, integration etc - Yin and Yang principle in all of its aspects. To create an integrated system by which the human body can self-regulate in order to achieve a state of dynamic balance. Taijiquan has a positive role in regulating and influencing the eight major systems of the body, namely, the skeletal system, the nervous system, the circulatory system, the respiratory system, the digestive system, the urinary system, the endocrine system, and the reproductive system. The characteristic regulatory role is the combination and interaction of internal and external aspects of the body - the external prompts the internal; the inside synchronises with the outside, influencing each other. "The mutual aspects of Yin and Yang is the root of all things". "Taijiquan has directly, boldly and openly drawn nourishment from Chinese classical philosophy,and comprehensively transplanted philosophical discourses. Two conditions made this possible. 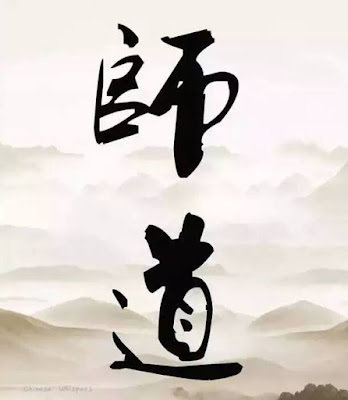 Firstly, Chinese classical philosophy itself is a study of the harmony of human and nature, and the examination of the development and relationships of yin and yang opposites and changes within the relationships. It is a systematic, holistic perspective that is a perfect fit for Taijiqu...an philosophy and therefore provides an ideal foundation. Secondly, in its developmental process it went through a series of "selection" and "cultivation" by martial arts exponents. The practical elements of the theories are carefully positioned and matched with actual practice, removing illusory "abstruse" theories, to enable the transition from "philosophical theory" to "martial theories". 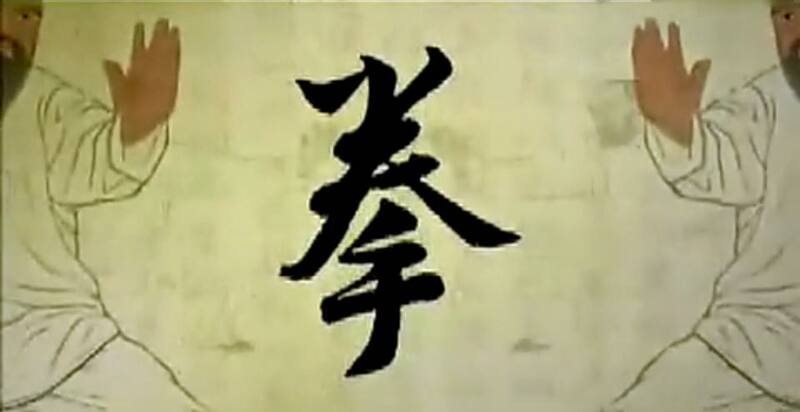 The end result is a martial art where every posture and technique is supported by a philosophical root, and each martial theory and philosophy can be implemented in action. When one reads a 'Taijiquan Treaties' it's often hard to say whether it is a martial arts theory or a philosophical statement. In fact, it is a combination of the two. 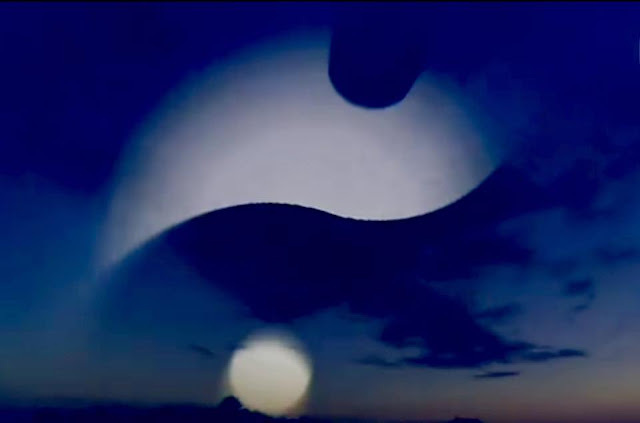 If you do not appreciate the connotation of these wisdom in your undertaking of taijiquan practice, then it is a great pity"
The philosophy and methodology of Taijiquan are often misunderstood and misinterpreted. A very important reason for this is because the basic behaviour of Taijiquan is a violation of our innate human instinct and is contrary to normal thinking. It requires the application of 'reverse thinking' in order to fully understand its concept. If we are able and willing to alter our innate human instinct beyond the 'normal' mode of thinking, then the difficulty of taijiquan is li...ke the Chinese saying "breaking through paper window". The ease of eliminating the barrier to learning depends on the amount of time and the willingness to engage in changing your thinking processes. Until then Taijiquan is complex and difficult and even impossible to learn. So what is the most difficult aspect of Taijiquan? The best answer is in Lao Zi's Daodejing Chapter 41- that explains that "contradiction is the dynamic expression of the law of nature". Taijiquan is a typical example of contradictory dialectics: its fundamental principles exist in contradictions and paradoxes and if they are not viewed as a dialectical unity - if you insist that a circle is a circle, a straight line is a straight line, that what are opposites can never be reconciled or that they cannot complement each other - then the theory of Taijiquan will not become clear. Based on that Taijiquan can be easy to learn and at the same time most difficult to learn. Because part of the underpinning culture of Taijiquan consists of Daoist principles, its internal methods are often expressed with the language and process borrowed from Daoist cultivation practices. In general Taijiquan consists of taiji frame and taiji skill. Taiji frame refers to its external shapes and movements and taiji skill refers to its internal training of mind focus and intention. In addition to these there is also the important taiji ethics and its cultivation. True Taijiquan should include these three aspects. If any one of these three aspects is neglected it is an indication that one has not fully understood or grasped the essence of Taijiquan. If Taijiquan frame is without the mental aspect it is a hollow form devoid of the inner feeling of spirit, intent and energy that is only experienced when internal skills have been internalised through practice; internal skills without the forms and movements is to deprive them of the substantial vehicle of expression and manifestation. 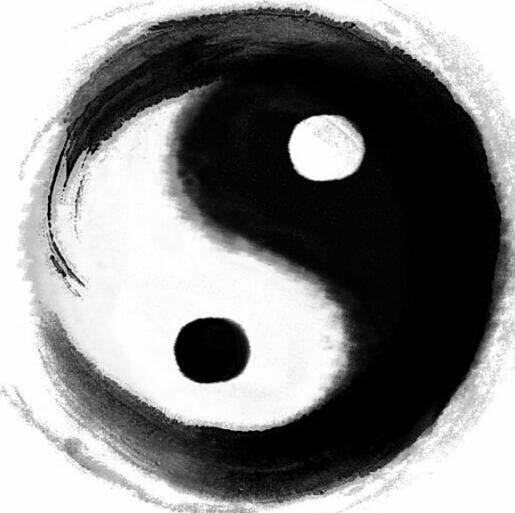 The external form is the Yang and the internal skill the Yin of Taijiquan. Taijiquan's internal mental training mainly trains the spirit, the mind intention, the energetic quality and the state of the body. It is neither an easy task nor is it a casual pursuit. Through a disciplined process of mental and physical adjustments, it enables the conscious state (for focus and intention) and the physiological state (for movements and actions ) to progress from the chaos of a chattering mind and scattered thoughts to enter a state of quietness and focused consciousness, where blood and qi flow unobstructed and the physical body becomes free of tension and stiffness. How can this be achieved? First and foremost, the acceptance that it is a long-term cultivation of the body and mind. 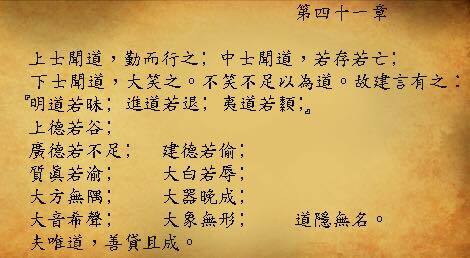 Amend, modify, repair the physical and mental states that do not meet the requirement of taijiquan principles. Cultivate, nurture, breed the mental and physical requirement that are in accordance to Taijiquan principles. Implement these processes at all times without exception. The physical and psychological adjustment is the prerequisite for internal mental cultivation. Many people know the expression "From Wuji Taiji is born". What is Wuji? What is Taiji? Wuji is "Non-Existence"; Taiji is "Existence". Therefore non- existence (Wuji) gives birth to existence (Taiji). It is a law that particularly corresponds with the process of change and evolvement of all things. 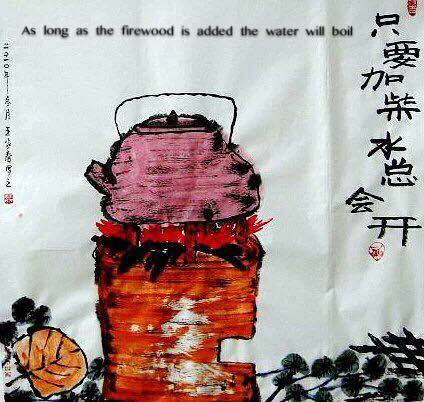 The Daoists also apply "Wuji" to the human body. A quiet and motionless body is in a state of "non-existence" or "Wuji". 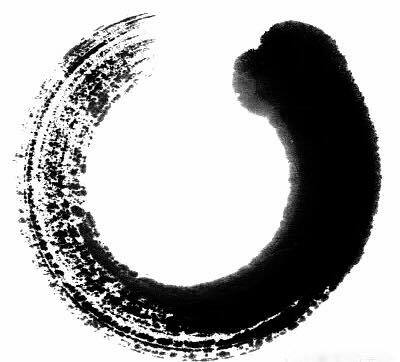 When stillness is broken by a movement - for example..., when the heart (emotion) or mind (thought) is activated, "Taiji" or "Existence" occurs. 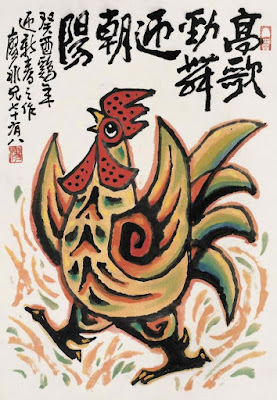 In the body changes occur with the "existence" of "Shen" (spirit or a seed of an idea), "Yi" (intention of action), and Qi (energy within to drive spirit and intention and without to drive actions). This is what is referred to as "from Wuji Taiji is born". This concept is realised by taijiquan practitioners through long term practice. It is a tangible process of taijiquan that is known traditionally as "having substance in the body", or "gongfu imbues the body". The process of acquiring Taijiquan principles from nothing to great skills can also be seen as the process of Wuji to Taiji. This is the big Dao of Taijiquan. 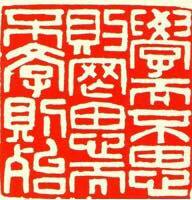 One of the most important concepts in Chinese culture and within the Chinese psyche is Qi. A traditional saying holds that "man lives for a single breath of qi". 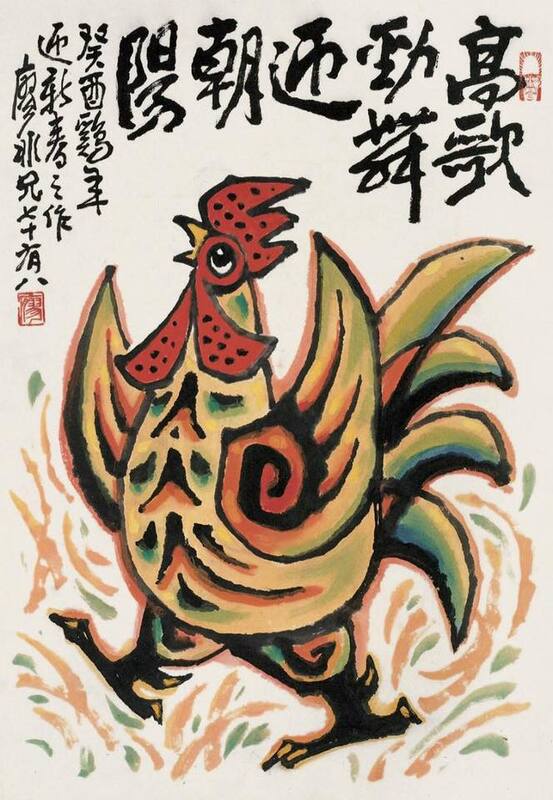 The art of Nurturing/Cultivation of Qi is therefore a most significant Chinese practice. The three main schools of Chinese culture, Daoism, Buddhism and Ruism (Confucianism), without exception focus on the nurturing of Qi. Although there are divergences on the aspects being cultivated they all emphasise the so...urce, the root, the fundamental. 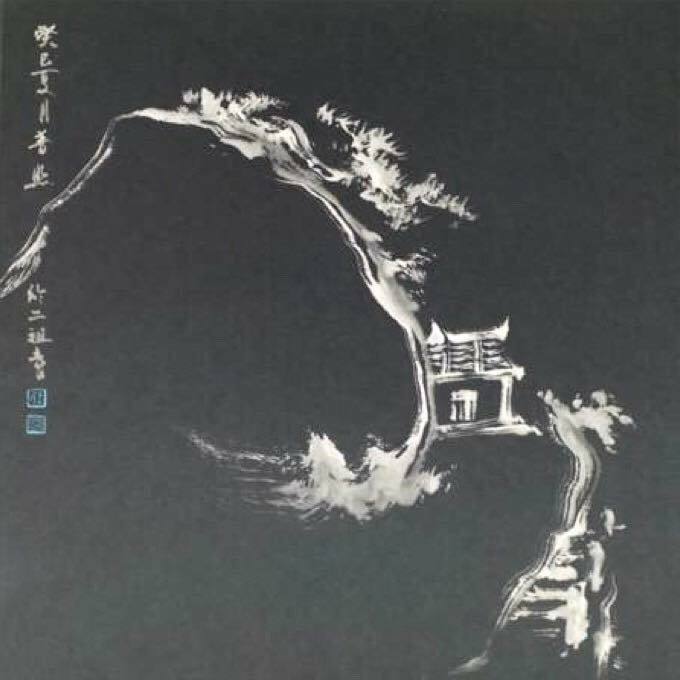 The Daoist school cultivates the "Big Qi" - the universal qi of nature - "one becomes two, two becomes three and three gives rise to all things". The Buddhist School cultivates "Tranquil Qi" - the root of disquiet (of mind and body) is desire - "Discard what needs to be discarded; Do not await an end that has no end; If life is not for this moment, pray what moment is for this life?" The Ru School emphasises the cultivation of the "Self-Regulatory Qi", the observation of self control and appropriate action and how it impacts on oneself and the the wider environment. In nurturing the three aspects: tranquility guards the heart, so that a thousand methods do not confuse your mind; the dynamic enables heaven and earth, so that its magnitude does not overwhelm you; and right conduct keeps you on the correct path. Taijiquan is a complete theoretical and operational system that is unique and effective. It has two objectives: Reforming the usual way of thinking about your body; Replacing it with the Taiji body criterion - to transform the quality of the body, to free the body of stiffness and rigidity, to discard physical strength, to stabilise the root, to become soft and pliant. From the outset establish the "taiji modus operandi": train from the standpoint of the 'eight methods... and five steps' - the thirteen potentials of Taijiquan. Simultaneously pay attention to and coordinate movements of the left and right, top and bottom, front and back etc. At all times illustrate the co-existence of yin/yang, five elements and eight trigrams, which are constantly moving and changing. Have a general understanding of the many facets of Taijiquan, first from wide knowledge then to specific learning. This way we will not lose our direction and succumb to misconceptions. There are many principles to help us understand the theory, as long as we follow the right principle and method. 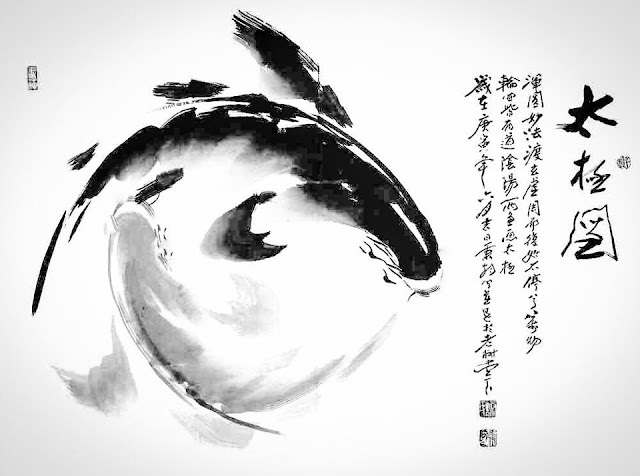 The "Yang fish" of the Taiji Tu (diagram) symbolises "seeking stillness in movements; when optimum stillness is reached resume movement". This enables perpetual interchangeability and facilitates the three external harmonisations for effective offensive and defensive applications. The "Yang fish" allows you to know your opponent and understand your external environment. The "Yin fish" of the Taiji Tu symbolises "seeking movement in stillness; when optimum dynamism is... reached resume stillness". This facilitates perpetual interchangeability and supports the three internal harmonisations necessary for defence and advance. It also trains the emotional aspect of the mind and dantian skill. The "Yin fish" allows you to understand the self and the internal environment. When you become familiar with the concept Yang and Yin can be applied simultaneously and instinctively. The Taiji Tu is a template for practice for the Internal Martial Arts - Taijiquan, Baguazhang and Xingyiquan - often seen as one family. 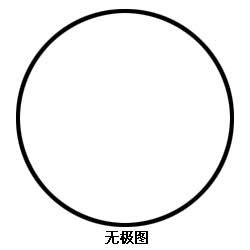 It is said that Taijiquan studies the dots of the diagram, Baguazhang studies the perimeter of the diagram and Xinyiquan studies the S of the diagram - one principle taking three forms. Understand Taijiquan form from the dual aspects of stillness and movement. The reeling/pulling silk motion is the movement system of Taijiquan, but what of stillness? Stillness refers to the shape and structure of the body - and is known as shen fa, or the body method. When the body method is correct and movement principles are understood and manifested then the Taijiquan form is correct. The correct body is often understood through static training, eg. standing pole, to carve out the right body shape. The law of Taijiquan motion is mastered through the training of silk reeling principles. Therefore correct Taijiquan practice should consist of two areas: 1. body method and 2. movement principle. The first entry point is training the correct body and from a correct body movement follows. It is not unusual for the transition from stillness to movement to find the shape broken. A novice cannot focus on the two aspects simultaneously. The method for maintaining the correct body method is slowness - using slow motions to make sure the correct body structure and shape are kept throughout. The practice of Taijiquan must always be slow, especially before the structure is fixed and become the default positions whatever the movement. Slowness is the foremost practice method of Taijiquan. It is not its aim. Are there any secrets? The answer is yes. What are the secrets? 1. The secret of details. The outside shape may look similar and the sequence of movements familiar, but the difference is in the details. 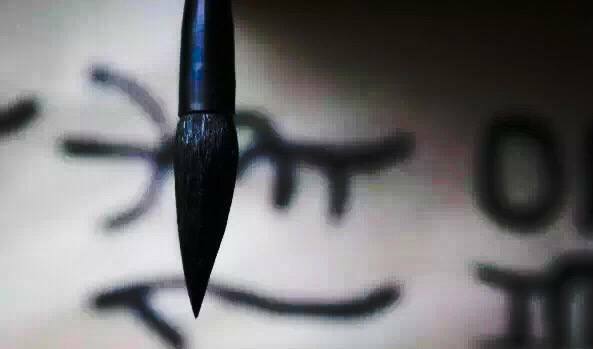 Traditional practice is meticulous and requires constant refinement. The highest skill will not be reached and the true essence of a system will not be realised if key points are not clear, overlooked or not taught. 2. The secret of systematic training. Skill is learned step by step in the correct, systematic and progressive order. Many traditional systems have seen a flourishing of the forms, but many of their fundamentals and building blocks are lost. The oft-seen empty and superfluous forms are results of incorrect order of learning and acquiring skill. Hence the importance of regular and constant contact time with a trusted teacher. 3. The secret of "forging". At certain stages and particular points of progress the teacher recognises the need to alter the student's frame and to change the way of training, in order to facilitate the next stage of development. To change before that crucial point (before the appropriate level is reached) is useless. A teacher judges it from his experience and skill, and his commitment to his student's progress. How does a practitioner apply knowledge to practice? How does a practitioner apply knowledge to practice? To transfer intellectual understanding to body skill? Taijiquan is a profound art. The intellect, culture, physical condition, education background, personality, perception, diligence, interest and direction of each practitioner is different. Therefore even with instructions from the same teacher different outcome ensues. Learning goes from the stage of "knowing" to that of "doing". The requirements of Taijiquan are clearly manifested in the form, shape and actions. A knowledgeable form is one that illustrates the principles of Taijiquan clearly. "Knowing" is therefore the basis and premise through which "doing" is achievable. It is said: "Know the principles; from the principles learn the skill; from the skill understand the principles". It is through "doing" that one can examine and validate whether one truly "knows". For the best result there must be a combination of theory and practice. 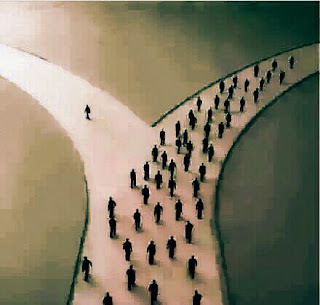 Many people are stuck at the stage of intellectual understanding. Whether a person's body knowledge (physical skill) is good or bad, right or wrong, and at what level, is inevitably reflected in the practitioner's movements and frame. Find the rules, abide by the rules, practise the rules. When we practice day after day, doing the repertoire of our system, are we slowly being 'anaesthetised', desensitised by the ritual of practice and forget the original purpose of the practice? Yes, we learned a lot about the Internal Arts, bought all the books there are available on the subject, able to recite complex training mantras, can stand and meditate longer and more often than others, and drop into the most challenging stances, We've worked hard and long to achieve these, and have received praise and recognition from our peers. Slowly and imperceptibly we make these "rituals of practice" become the practice itself without realising it. It seems that as long as we complete these "homework" every day, then we are a step closer towards 'nirvana'. We may even become a "master" or "spiritual person" and instruct and reprove others. In actual fact, we may have merely developed a set of new habits. We may think that we are engaged in practice and cultivation but in reality we are only performing the external rituals without any intrinsic change. Without going into the "heart" of practice, what good does it do us? The "true nature" surfaces as soon as adversity or unfavourable situation arises. Real practice is "context experimenting and mind examining". Prescriptive form or homework is not as important as the complete awareness of each and every mental and physical context. If we are engaged, practice and cultivation need not be supported by rituals; if we are not, all "rituals of practice" are in vain! Do not let us be anaesthetised and desensitised and do not be fooled by the "practice" of illusion. 1. The tangible physical activities that are visible to an onlooker. When the body is sufficiently trained to express synchronisation of the upper and lower body, coordination of opening and closing movements, and accuracy of the energy route. When there is movement coordination of the hands and feet, elbows and knees, shoulders and hips, it is termed as the '"three external harmonies". 2. The mental and psychogenic activities that are not clearly visible and hidden in the heart and mind, but plays the vital role of commanding and influencing the physical activities. 3. Qi and blood that flow within the body along the meridians. This is driven by the combination of physical activities and mental and psychogenic activities. Through repeated and focused training, using the heart/mind to lead intention that in turn lead the qi/energy, that in turn guides the correct movements. When all three elements are realised and are executed seamlessly, when the heart and intention, Intention and energy, energy and body shape are fully coordinated, it is known as the "three internal harmonies". In fact, the three elements are mutual conditions that require simultaneous execution that cannot be separated. Separation in narratives is in order to enable understanding of the principle. To realise the six harmonies is not easy, particularly the three internal harmonies. It is even harder to feel the sensation of harmonies if a form is done casually. It is best to begin the search with movements that require one or two small changes in the shape, and where the demand on the change is not insurmountable for the stage of development. Practise repeatedly and constantly. Carefully try to figure out the changes. Look for the feeling. Until some sort of understanding dawns. When there is a breakthrough, give it top priority and practise it until it occurs every time you practise, first deliberately and then naturally. Recreate the changes and sensations in every movement. Small changes lead to bigger changes and the overall result is often faster. The traditional long form was devised by the ancestors with thought and consideration for incremental progression. The beginning movements prepare for the next. The seemingly simpler movements and the oft-repeated movements are precisely the ones that have direct potential impact on the quality of the whole routine. Many people learn Taijiquan not for its martial arts aspects but for its health and fitness benefits. As a result they neglect training the essential movement principles of Taijiquan. In fact, practising the form without training the fundamental principles reduces the health and fitness benefits of Taijiquan, usually as a result of weak musculature, impeded meridians, and disrupted flow of blood and Qi. Training fundamental skills enables a process of "rebirth of the body... and transformation of the bones". The body becomes tempered with continuous practice and the musculature and organs will gradually undergo qualitative change. The fundamental movement principles of Taijiquan as a martial art, in common with many other sports, requires the correct use of hands, eyes, body and footwork. The physical aspects of Taijiquan are often overlooked in pursuit of the "internal aspects". Without the external aspects in place, there can be very limited internal aspects, if any. 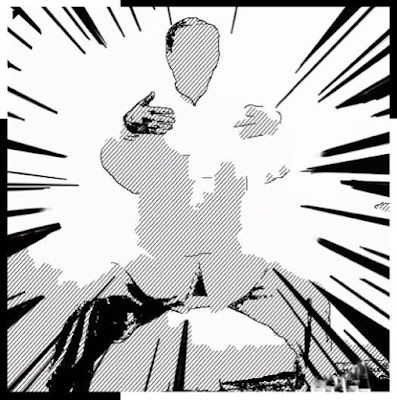 People who learn Taijiquan often question the role of the traditional form (taolu) - particularly of the relationship between the taijiquan routine and self-defence/ fighting. Many long time practitioners feel that the form provides limited effective martial techniques and that an opponent will be unlikely to advance in the manner prescribed in the routine. To think this way is to not have understood the important purposes and functions of Taijiquan's basic exercises, stand...ing pole training, form practice, single movements drills, push hands routines, free style play, as well as its principles and theories - the complete system. The role of the form in the Taijiquan system is mainly to lay down foundation and to enhance base skills. The routine simulates self defence methods, therefore combat skills are derived from it. The form however is not just for learning combat techniques. 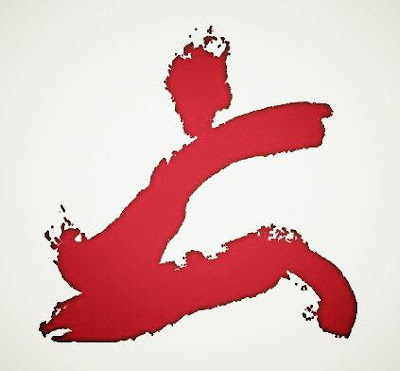 It also enhances the body's constitution, improves physical fitness, and cultivates calmness of the mind...The role of the Taijiquan form should not be viewed only from the perspective of combat effectiveness. Embrace the complete system in order to know and understand the purpose of the various stages of the training method and exercises. Attach equal importance to every one of them. Understand what it is to be loose and pliant, light and quiet, balanced and neutral . The basis must be looseness and pliancy - loose but not slack, stretched but not stiff. A little more looseness means a little less stiffness; a little less stiffness means a little more internal power. Every joint of the body must be stretched, open on every plane. The fascia must be lengthened. Although extremely soft the strength contained within exhibit the characteristic co-existence of softness and power, simplicity and complexity. It cannot be defined by its softness, nor can it be defined by its power. Softness and power combine seamlessly, a perfect fusion. This is Taijiquan.